MEP Peter Nidermuller says he voted to take action against his country's government because Prime Minister Viktor Orban is turning his home into an "illiberal democracy." A Hungarian member of the European Parliament says he voted to take action against his country's government because Prime Minister Viktor Orban is turning his home into an "illiberal democracy." European Union lawmakers voted on Wednesday to censure Orban's government for allegedly undermining the EU's democratic values and rule of law by attacking the media and minorities in its immigration crackdown. In a first, members voted 448-197 in favour of a report recommending the launch of Article 7, which could eventually lead to the suspension of Hungary's EU voting rights. The leaders of all 28 EU states must now decide what to do with Hungary, in a process that could take years. MEP Peter Nidermuller told As It Happens host Carol Off why he voted to trigger Article 7. Here some of what he had to say. Why did you vote in favour of this report today? The Hungarian prime minister announced that he would like to build [an] illiberal democracy. We in Europe, we don't need illiberal democracies. We need the usual European tradition of liberal democracy. I'm Hungarian and I would like to see Hungary in the European Union. And if you are following the illiberal democracy, [it] is something against the fundamental values and norms of the European Union. So my vote in favour of this report is going to help for Hungary to come back to the European family. [Orban] is saying this does not respect the Hungarian nation. He says that you think you know better than the Hungarian people what the Hungarian people need. He says that they're trying to use extortion against Hungary, who is only trying to defend its borders against illegal immigration and protect its rights. This kind of language, I'm sure, plays well in Hungary where people do not want to see an outside body dictate what the laws should be in their country. Is that not the case? Of course this language of the prime minister has many supporters in Hungary. But I would like to make it very clear, this report of [Dutch MEP Judith] Sargentini​, it has nothing to do with Hungary. It's not an attack against Hungary. This is [criticism] of the politics of the Hungarian government. And this is a huge difference. 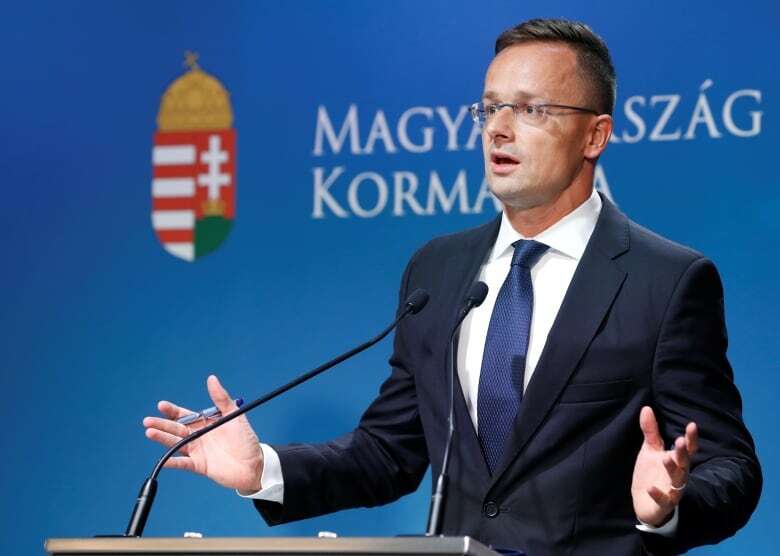 But on the other side, you know, it's really true what you mentioned, that the Hungarian prime minister, with his very strange migration policy, has lot of supporters in Hungary. I guess my question is that this report by Judith Sargentini​ is good for Mr. Orban, isn't it? This gives him a platform to say that he's defending Hungarian values and that the European Parliament is trying to impose its will. Of course, he can use it in his advantage in Hungary. But, you know, on the other side, politics is not only a national issue. This is an international European issue. Mr. Orban has very, very big troubles in his political family in the European Parliament in the European People's Party. 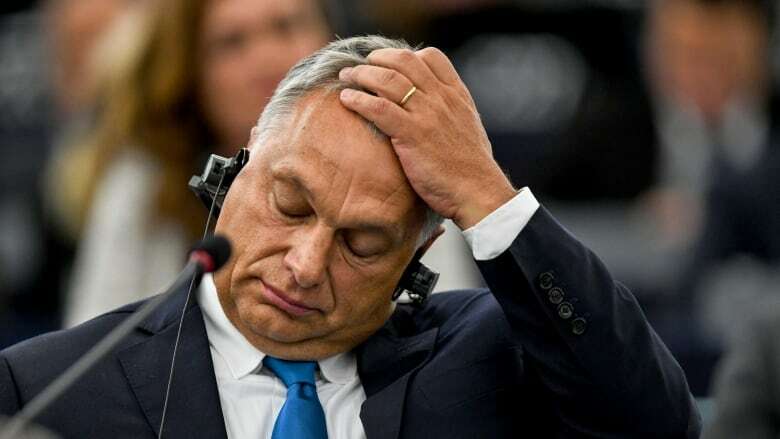 More than a hundred members of the European People's Party voted in favour of this report, and they told that they cannot tolerate Mr. Orban's politics because it hurts the fundamental values of the traditional Christian democracy. They are saying this is a very, very Christian value to help for refugees, to help for people who need international protection. But an awful lot of members of the European Parliament voted against these sanctions. One third of those who cast a vote voted against this proceeding of Article 7, so it looks like he has a lot of support in the European Parliament, doesn't it? His supporters in the European Parliament, but also in the European politics, are people belonging to different far-right political parties and movements. So this is not the traditional centre-right who is supporting him. Article 7 could take a very long time to have any effect or to come into play. So, in the meantime, what happens in Hungary? Do you see any political pressure being put on Mr. Orban and his party by virtue of this Article 7 being launched? We will say to the people, to the voters, that they have to make a decision between a free democratic, open Europe or between the Europe represented by Mr. Orban, which is a closed society, which is very much [authoritarian] and very much anti-democracy. Which side of that do you think they'll land on? If we would have the election tomorrow morning, then I have no doubt that Mr. Orban would win. But, you know, we have some more months, and this politics is always a kind of process, and I am absolutely convinced that in the election in May 2019, we the supporters of the free democratic and inclusive Europe, we will win this election. Every Hungarian knows exactly how important is the free movement in Europe, how important are the democratic values, how important is media freedom and things like that. Of course, it will be a big fight. It will be very hard. But I am very optimistic about the result of this fight. Written by Sheena Goodyear with files from Associated Press. Produced by Katie Geleff. Q&A has been edited for length and clarity.